cat+yarn=the cutest cliche, originally uploaded by earthchick. 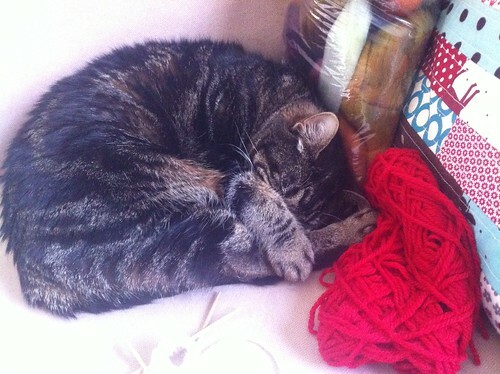 Suki loves to use my fiber and/or yarn as her pillows. very cute … I love it when they cover their face with their paw. Does she not have a tail?